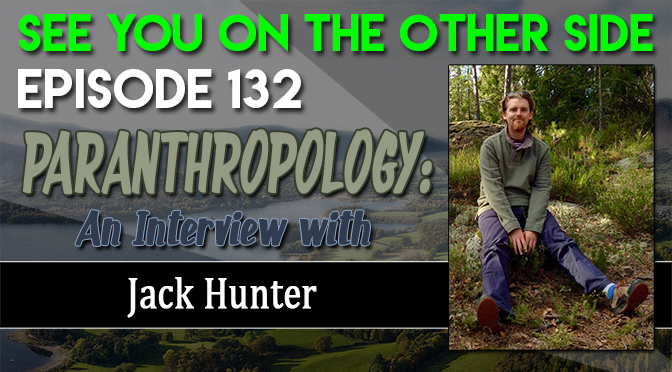 From Near-Death Experiences to spirit possession, Jack Hunter has been finding the commonalities of paranormal experiences from cultures all over the world. As a PhD candidate at the University of Bristol in Anthropology, Jack has devoted his academic and professional life to understanding how different peoples across the planet use ritual, ceremony, to alter their states of consciousness to interpret the world and their place in it. Fancy a pint with British Jesus? Jack Hunter’s journal, Paranthropology has been publishing since 2010 and it’s a free online academic journal that features articles written by researchers interested in exploring the paranormal through a social science lens. 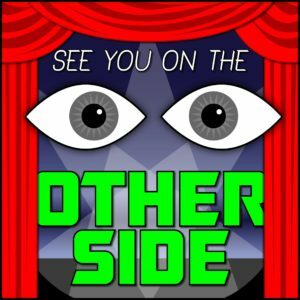 Jack even takes us through a modern psychic medium experience that he wrote about for his original dissertation and how the present-day Spiritualist experience is alike to the classic Victorian and Edwardian seances that we envision from TV and movies. Jack Hunter doing the academic thing and giving a presentation! A big concepts of this episode is about feeling connected to a place. In Wales where Jack lives, he talks about the folk tales of a dragon in every valley or just how so much of the small towns have so much history and folklore. For example, a modern geologist will talk about a rock formation that was left by a glacier, the folk tale might be that giants left the rocks there. They’re two different ways of trying to understand why your environment is the way it is, and while they’re very different explanations, they’re also two different ways of reaching a truth that you feel comfortable with. Jack has edited and written several books on the subject as well, and with titles like The Paranormal: Why People Believe in Spirits, Gods, and Magic and Talking With The Spirits, and of course, Paranthropology: Anthropological Approaches to the Paranormal, if you enjoy the interview, you’re going to want to check those books out to learn more. One of the intriguing concepts that Jack discusses in this episode is “Ontological Flooding” which is the concept that when you are exploring a phenomena or even just your relationship to your environment around you, to embrace all possibilities. Consider the materialist aspect (the physicality of it), the spiritual aspect (how it affects you emotionally), the mythic aspect (what is the story of the place you’re at) , and how those things all contribute to understanding it. Ontology is the “study of being” and ontological flooding is the idea that you will let all the information in and not judging the information as “crazy” or “magical thinking” but synthesizing all of it to find a way of living that excites you and a way of finding and accepting your place in not only the ecological system, but of the story, of a big world. This episode’s Sunspot song is called “The Flood”. To reduce it to just elements. Better get ready for the flood. Are you just defined by your things? And this is where the balance swings.